Expand your business with a brand-new facility. Our commercial real estate loans will help you buy or refinance the new building or commercial investment property you’ve been wanting. Conquer new frontiers, and use one of our real estate loans to create a whole new outlook for your company. 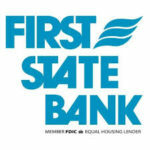 At First State Bank, there’s no need to wait until tomorrow.